Categories: Fishing Gear, Swivels & Snaps, Terminal Tackle. • If you are a fishing enthusiast or hobbyist, there is no shortage of HXYStore quick-rotating couplings. It is well-made, high-quality metal plating treatment, not easy to resist, does not rust. The buckle rotates smoothly, avoiding the winding of lines and reducing fishing work. Its light weight does not increase the weight of the fishing line. 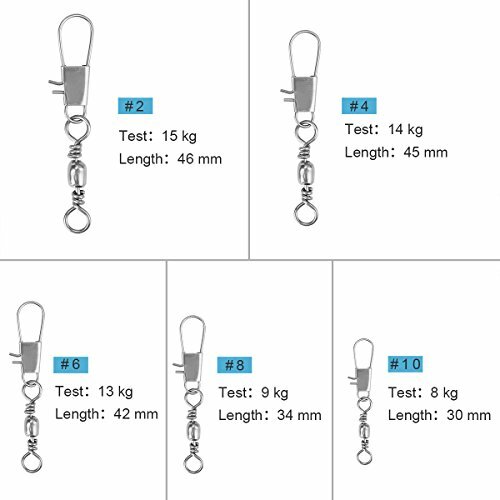 With high strength characteristics, it is widely used for sea fishing. Large output, affordable, fully functional, can be used for a long time. •The package is small and beautiful, easy to carry. It can also be used as a gift for fishing enthusiasts. • Flexible rotation, not easy to wind around the fishing line. 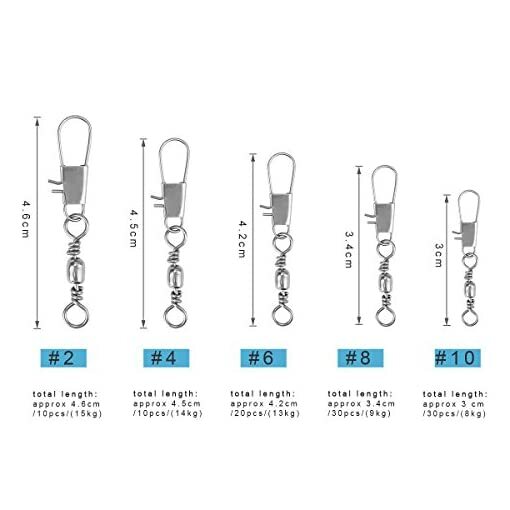 • Could be connected to any hooks and fishing rod, as well as soft bait and solid bait, strong tensile strength, adapt for different kinds of fishing. ATTENTION: This set contains small and sharp parts, please be careful during the use and KEEP OUT OF REACH OF CHILDREN! Click on “Add to Cart” above to buy and let you have a pleasant fishing experience. Or Refund – If you don’t like it, we will refund it to you. 1. Material: Excellent metal material with electroplating treatment, high strength,corrosion resistance,anti- shock,corrosion resistance and anti- rust. 2. 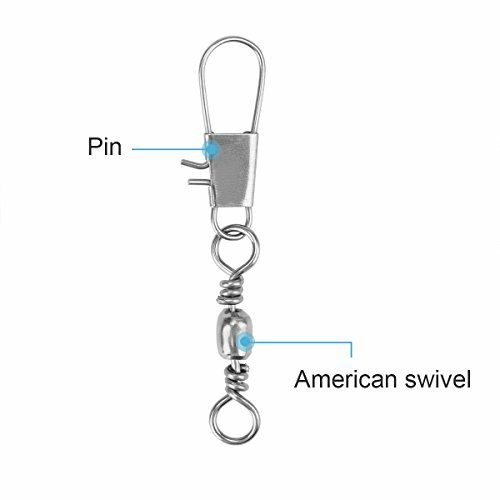 Flexible Rotating: Swivel in the case of force can also be flexible rotation, not hurt the fishing line and anti-winding. 3. 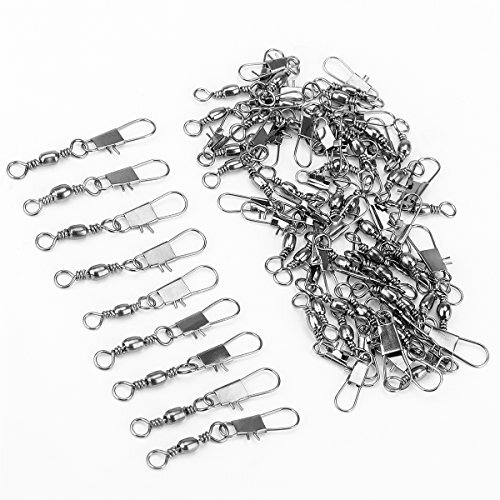 Quick Connect: The connector snap can quickly connect a variety of fishing hooks, high speed trolling, jigging, offshore fishing.Could be connected to any hooks and fishing rod, as well as soft bait and solid bait. 4. Reliable. 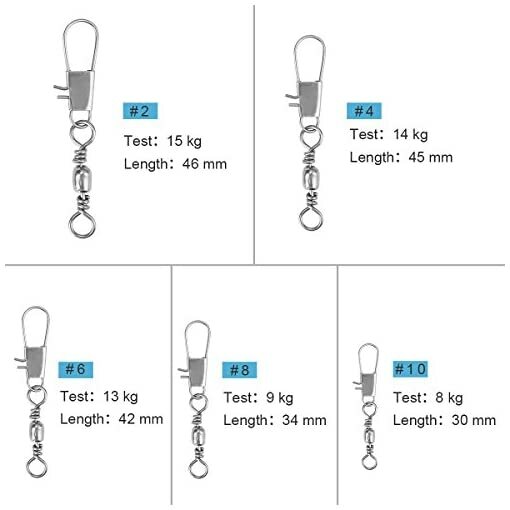 Excellent corrosion resistance, abrasion resistance and shock resistance. 5. 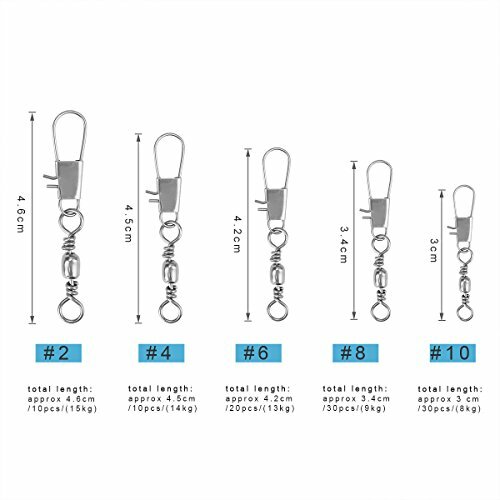 Multiple size available range. Cheap and good. 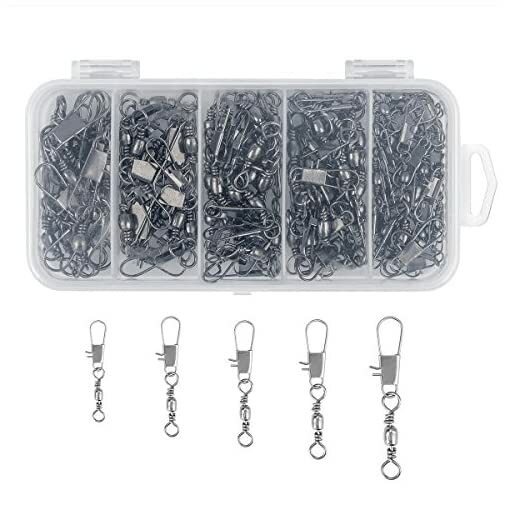 total 100pcs fishing swivels connectors in a reusable plastic box, included #10(30PCS), #8( 30PCS), #6(20PCS), #4(10PCS), #2( 10PCS).